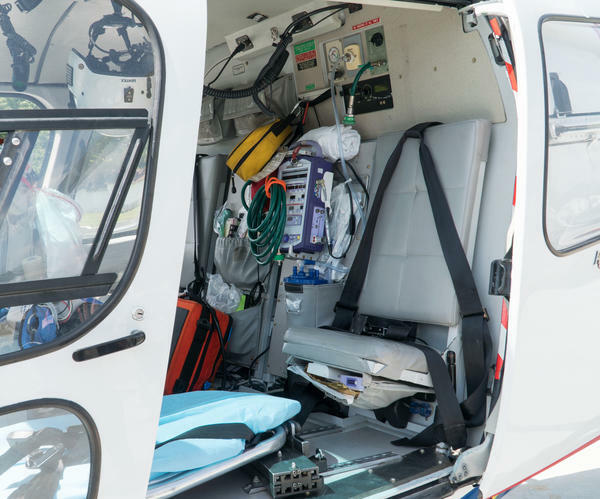 Using a so-called air ambulance can be expensive, which is why such flights are usually only used by the critically ill. But a legal quirk means that paying for one of these flights can actually lead to financial ruin. Congress has been working on this. But in the meantime, NPR and Kaiser Health News have been asking patients to send in medical bills. Here's Jackie Fortier of StateImpact Oklahoma. 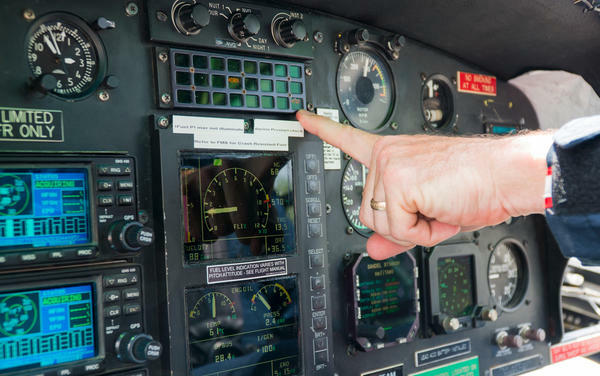 JACKIE FORTIER, BYLINE: Pilot Chris Glasgow flicks metal switches above his head in the cockpit of an air ambulance in Pocola, Okla.
Now we're over Fort Smith, Ark., and that took - what? Maybe four minutes? CHRIS GLASGOW: If that. I was going kind of slow. FORTIER: If I had been a patient, that flight could've been a lifesaver, but it could also come with a life-altering price tag. There is no cap on pricing for air ambulance rides, and the bills are often tens of thousands of dollars. Doug Flanders is the manager of government affairs for Air Methods, a private company that owns the Pocola helicopter and base, along with about 2/3 of all the air ambulances in the U.S. Flanders' company fought a proposal that would have let states restrict pricing for air ambulances. DOUG FLANDERS: What some people called just a little provision could have large impacts to patients all over the country. FORTIER: Air ambulance companies are considered air carriers, like Southwest or American Airlines. All are regulated by the Federal Aviation Administration. That's kept states from regulating the industry. Flanders says an earlier version of the FAA funding bill would've have led to a patchwork of regulations. FLANDERS: What if the state of Arkansas decides that it will only accept Arkansas helicopters? Those are life-and-death decisions. Borders should not make a difference, but this kind of legislation that creates borders in the sky would do that. FORTIER: The for-profit industry lobbied heavily against it and won. Congress dropped plans to let states regulate prices in the current FAA funding bill. Airline deregulation passed in the 1970s left the air ambulance sector with little oversight. 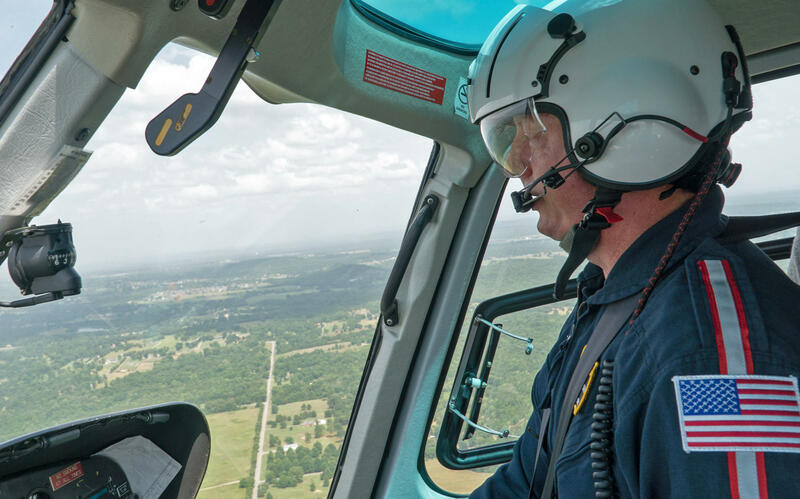 Greg Hillenbrand runs a nonprofit air ambulance service in Kansas. 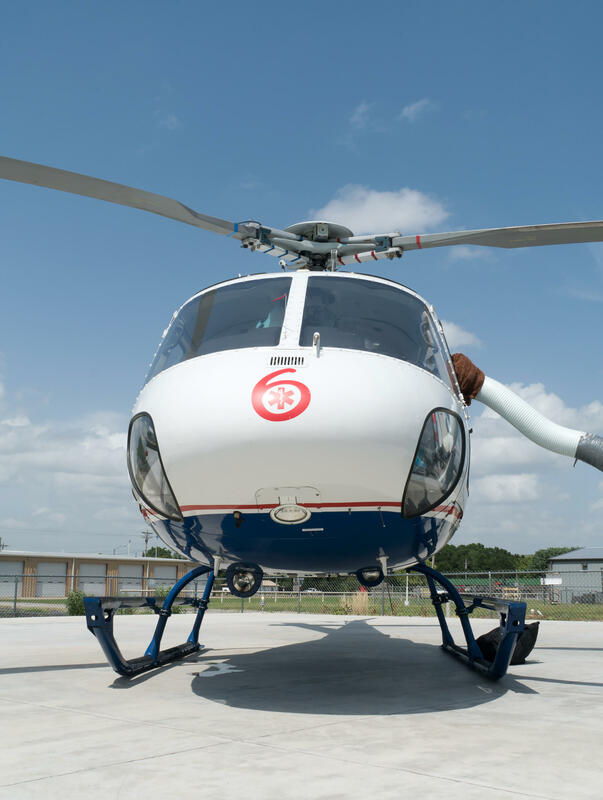 He says with high fixed costs like helicopters and trained medical personnel ready to fly at a moment's notice, more competition in the industry has driven prices up, not down. GREG HILDENBRAND: We still have to spread the same costs per base over fewer numbers of patients, and so that has driven costs up considerably. FORTIER: The average air ambulance bill sent to NPR and Kaiser Health News was for more than $40,000. If a patient's insurance won't cover the whole flight bill, air ambulance companies are allowed to directly bill the patient. It's called balance billing, and says Erin Fuse Brown, an associate law professor at Georgia State University, there are no legal options. ERIN FUSE BROWN: There's nothing really they can turn to because of this regulatory blind spot, essentially, that air ambulance providers fall into that would protect them, that would allow them to push back on the extraordinary charges that they are billed when they get home from the hospital. BROWN: It's unclear at this point, you know, whether the committee would substantively provide consumers with protection from these types of bills. FORTIER: The House is expected to vote on the FAA funding bill as early as today, and the Senate could act before the end of the week. For NPR News, I'm Jackie Fortier in Norman, Okla. Transcript provided by NPR, Copyright NPR.